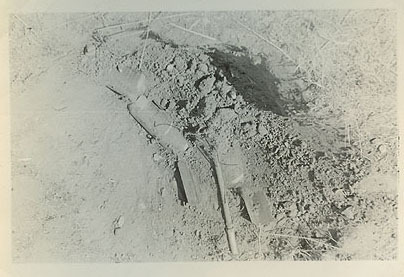 A set of 11 original black and white photos from World War Two showing unexploded US and enemy bombs/abandoned weapons around the city of Bizerte after The Tunisia Campaign. The Tunisia Campaign was a series of World War II battles that took place in Tunisia in the North African Campaign of World War II, between forces of the German/Italian Axis, and allied forces consisting primarily of U.S., British and Vichy French. On May 7, 1943, British armor entered Tunis, and American infantry entered Bizerte. 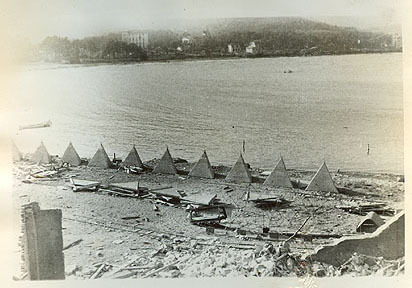 These photos are from a collection that belonged to a Navy Gunner's Mate. 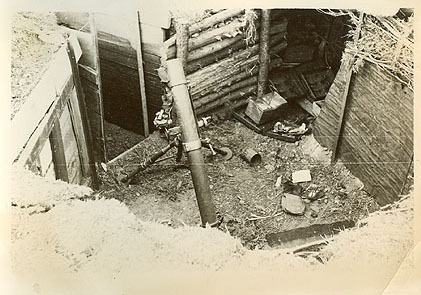 caption on back of photo: "75MM Gun Pit"
Caption on back: "Also laid some close, too close!". Caption on back: "Underwater obstacles not yet sewn". 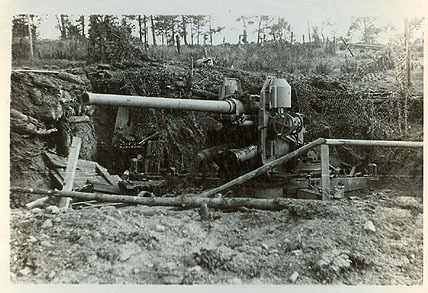 Caption on back: "20 MM M.G. 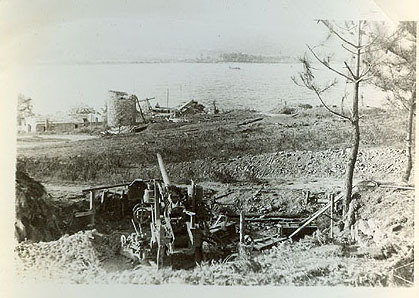 emplacement overlooking beach silenced h-hour +8". 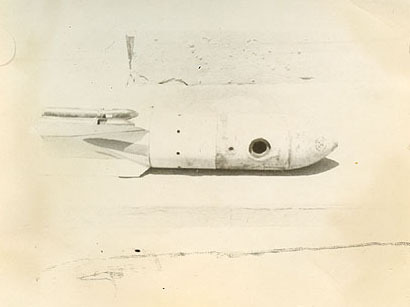 Caption on back: "beach barrage rocket". 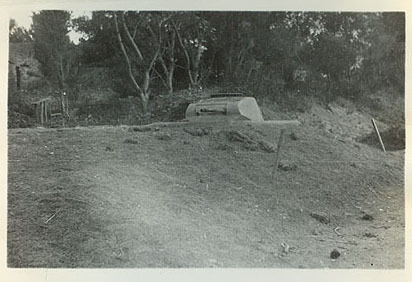 Caption on back: "teller mines". 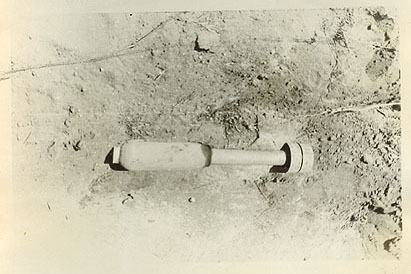 Caption on back: "500LB US Bomb". 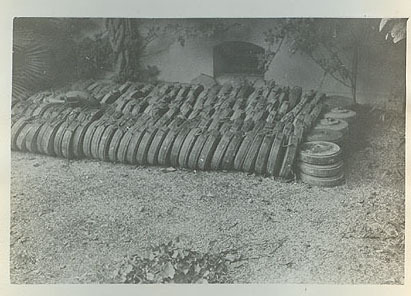 Caption on back: "cluster of US A.P. bombs". 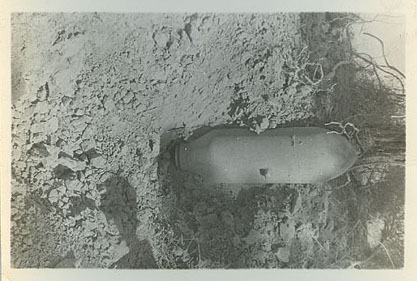 Caption on back: "50KG 'Jerry' bomb". 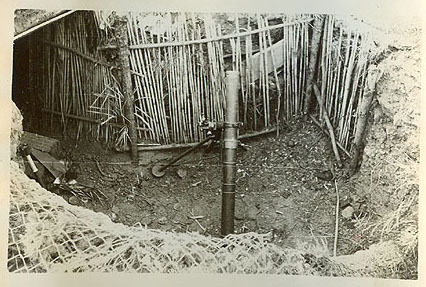 Caption on back: "another mortar that almost had the range". Caption on back: "one of which dropped some close ones".